What a waster! Who should take responsibility for food portion control? 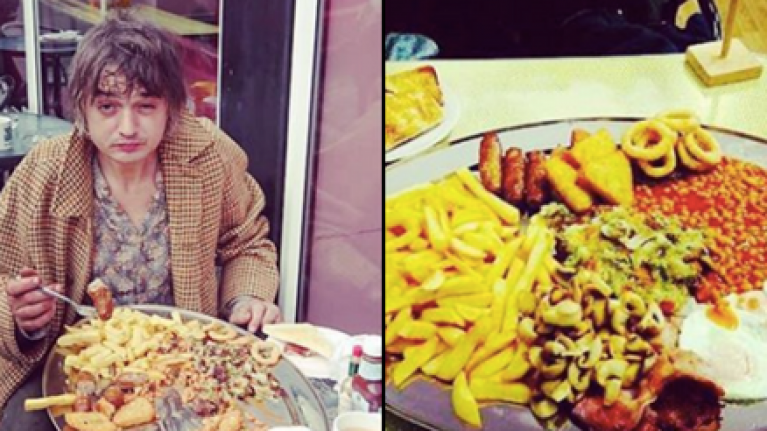 I saw an article recently about the Margate café, that has seen an unprecedented influx of customers over the last couple of months, since images of Pete Doherty completing their mega breakfast challenge went viral. For those of you who weren’t aware of the original new story – earlier this year in August, the Libertines frontman, trilby aficionado and heroin enthusiast, was spotted taking on the café’s breakfast fry-up which included four bacon rashers, four eggs, four sausages, a burger and chips, plus plenty of trimmings. The café has since been contacted by people all over the world keen to ‘have what he’s having’. It got me thinking about a lot of things, most of which aren’t fit for this blog, but one of the more pertinent questions was around portion control and where the responsibility lies. Of course, you could argue that this is all just a bit of fun, but the mega breakfast at this café comes in at a staggering 4,000 calories – double the recommended ‘DAILY’ intake for a woman and not far off the same for men. So regardless of whether this is a once in a lifetime meal, the fact remains that by offering this meal the café is encouraging gluttony to an unhealthy degree. We spoke to our KAM Community (of 1,000 consumers) to seek their views on the subject. We asked them whether they would like to see more options for portion sizes of food to go, like you get with hot drinks (e.g. small, medium and large) – 66% said that they would. We also asked them whether they think that outlets that sell food to go should take more responsibility for ensuring that customers have healthier alternatives on their menus – 64% said yes. “Who do you think is responsible for educating consumers on making healthier choices when it comes to food? Less than 2 in 3 believe it to be their own responsibility, with 33% (the second largest percentage) stating it should be the responsibility of food outlets/stores – above both government and schools. So, in the eyes of the customer, they are looking for food outlets/stores to provide them with the choices and the education to help them make healthier choices. A company that is, in my view, leading the way in customisation and healthier choices is Vita Mojo (https://www.vitamojo.com). They are, currently, a chain of 3 food to go outlets in Central London – with the main concept being a fully customisable menu – all operated via your smartphone or the in-store tablets. 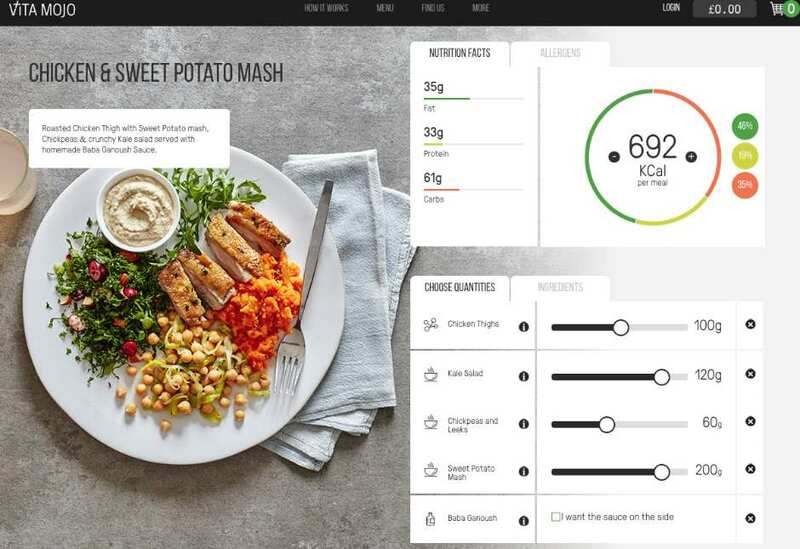 As you can see from this image, this extends to controlling the exact weight of the ingredients within your meal in order to achieve the right balance of fats, proteins and carbs and to track the exact calorie count of your meal. Clearly this is an extreme example – but it’s one that exists and is proving very popular. The interesting point about this business though is that they are increasingly seeing themselves as a technology company, rather than a foodservice business – so rather than expand their stores they’re looking to expand the technology, so we may start to see more of this type of thing permeate through the more established brands on the high street. The underlying trend here, is that customers are increasingly looking for a greater freedom of choice from the food they purchase out of the home, and with a greater focus on health and healthier options. Coupled with the fact that they are looking to the food outlets themselves to be providing this education and choice – more so than schools or government. Don’t look back into the sun, look forward to a future where choice and health are the order of the day. © 2019 KAM Media All Rights Reserved.